Discussion in 'General Gaming' started by plumpkin, Nov 8, 2005. Im watching this thing on G4TV about the game Gun, and it looks fuking awesome. 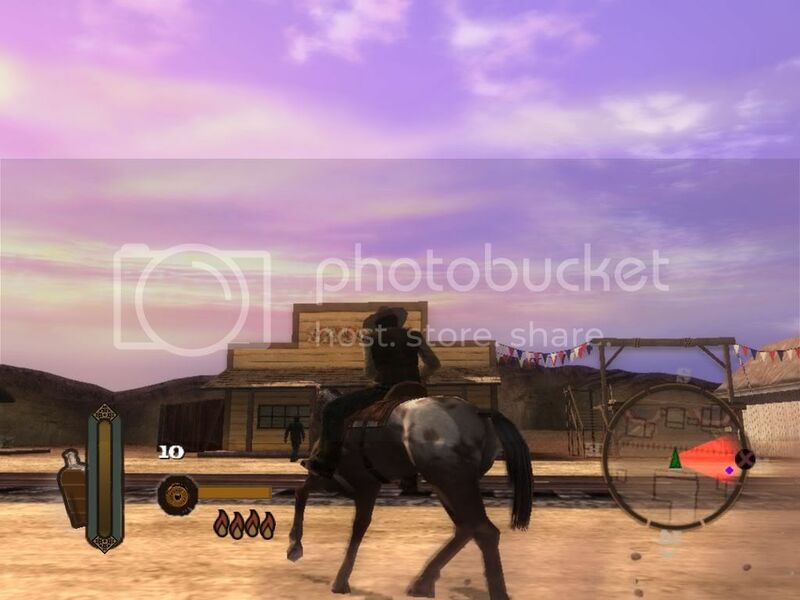 Its a game based in the Wild West, and it looks great. Anyone watching, or been looking into this game? Yeah, I wanna play this game! Do you know if it will be on PC, or is it for next gen consoles? Its primarily a 360 game i believe, and yes it looks incredible. Im about sick of grand theft auto, I very much disagree with gr and think those games are disgustingly overrated. 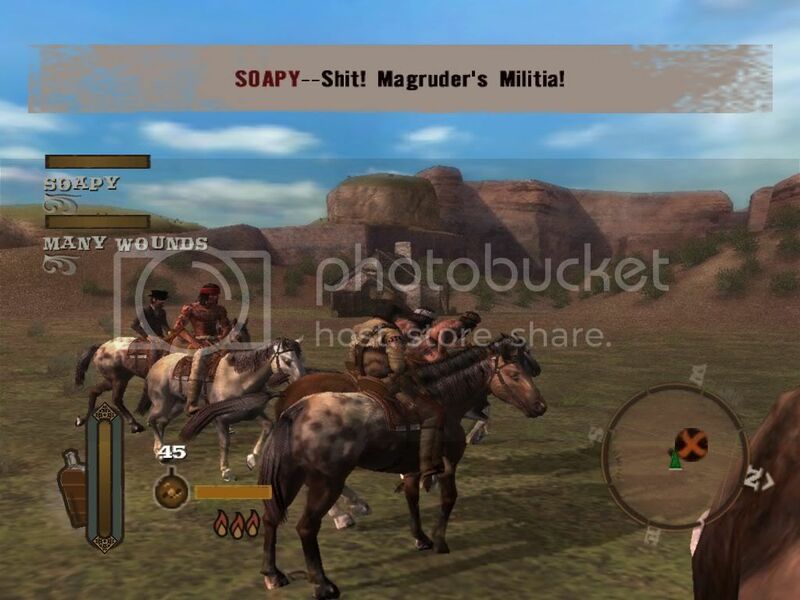 This looks like a very intuitive breath of fresh air to free roaming gun totin gameplay. I'll totally be investin'. It got only decent reviews on IGN and Gamespot (8.0 and 7.4 respectively), but I'm sure I'll check it out anyways. What sorts of things does it do that differ from the GTA series? It is primarily PS2 and Xbox, there is a 360 version, and it has been said it looks no better than the xbox version. I'm most likely going to check this game out when it is released for the Xbox 360 (which I happen to be getting soon). I played a demo for the original Xbox version and it is fun, to say the least. And I will have to disagree with you. Grand Theft Auto may be overhyped for some people, but it is not overrated. Checking the GameFAQs reviews, one guy in like twenty hates GTA: San Andreas, so I'm guessing that out of twenty people who bought the game, you must be that one. That is my opinion at least. Lets just say this- I got this game last night on my PS2. It is really fun. 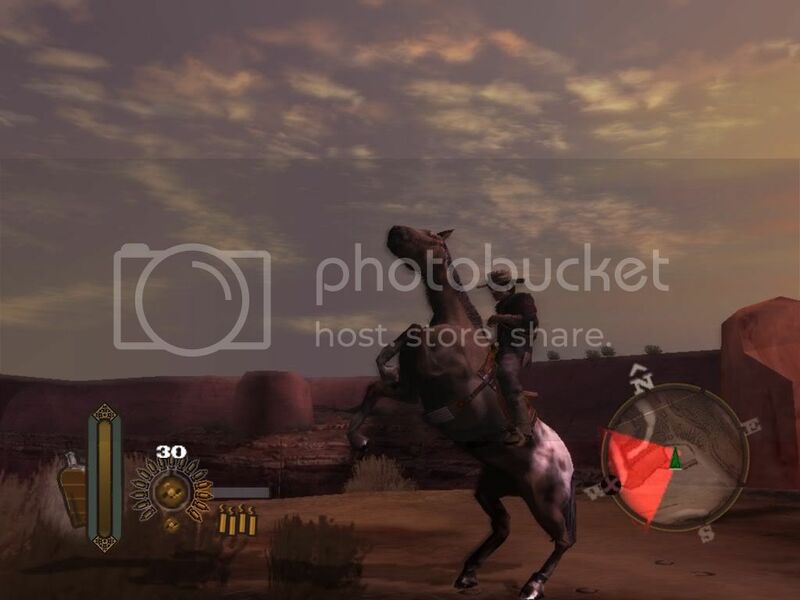 The shooting feels like you are a quick draw gun slinger- there is enough ammo to make it feel like an Eastwood movie and the HORSE CONTROLS are better than any game with horse riding in it sofar- Zelda better make sure its Epona controls are more intuitive because this game makes Horses fun! I have only played an hour- the voice acting is alright and the story is muh but it makes you feel like you are in the wild west- I really felt like a gun fighter. 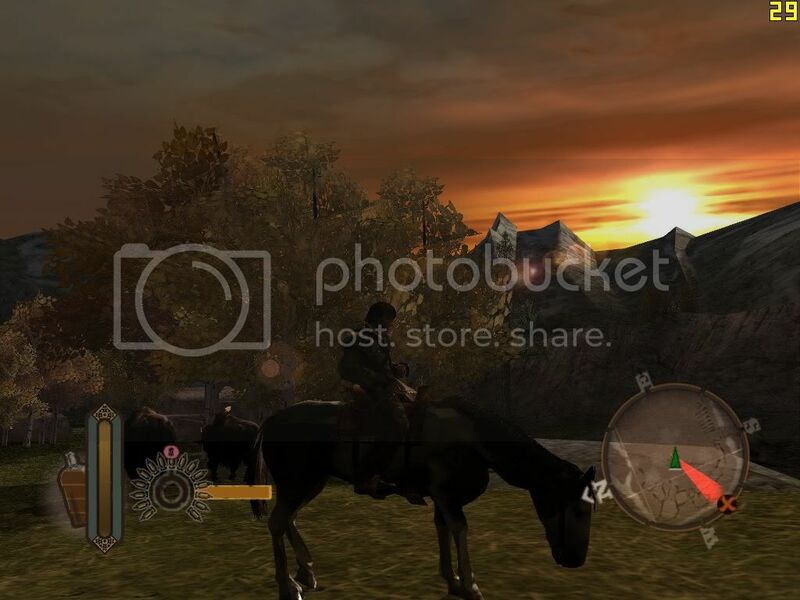 Better horse controls than Barbie Horse Adventures: Wild Horse Rescue!?!?!?!?!?!?!? whew, i was gonna say, you msut be insane or something. I saw that review and i think the game looks pretty sweet too. I know for sure that its coming out on PS2 Xbox and Xbox 360 (not too sure about gamecube though). 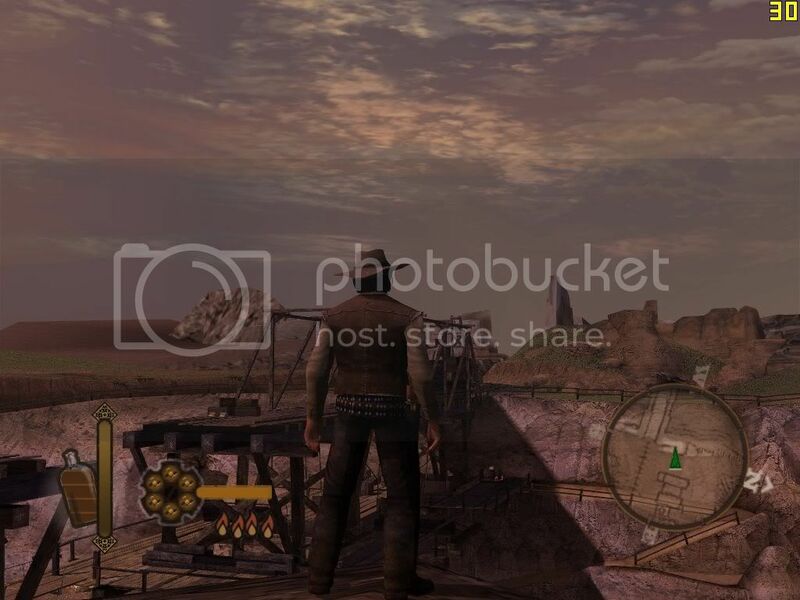 I'm pretty sure the Xbox 360 version is going to have much better graphics. They put an Xbox 360 in at the Best Buy by my house and let me tell you it has the most amazing graphics i've ever seen. I just rented the game tonight for Xbox. I think it is awesome. I been playing for a few hours, and so far, im realy enjoying it. Controls feel good, the fighting system is good, graphics, sound, all good. ok ok ok lisin i have alredy bought Gun and beat it the same day i bought it and the game does kick a** just dont play it on hard mode thats what i did and nearly smashed my x-box and by the way it is comin out on the 360 and the last boss is magruger just ask me about a part u have to do adn ur stuck on i did all 100% of the game the bountys the pony xpress the lawman and the 1 in empire city....4got what its called o and the nock gun is asome!!!!! o and u can free roam the game and the thing i like most is to get a loco dynomite bow and blow the horses body parts up!!!! it so friggin fun!!!!! I have seen the commercial for it, too. It looks awesome! But there is one major flaw with this game though. It's unbelievably short. I can't find a good explanation why but I guess they hired a bit too expensive voice actors for this little game and finally ran out of money. Or they weren't just ambitious enough... Despite of the great gameplay and wonderfully animated horse riding action it feels rushed and unfinished. Still, it is the most original action game I've played this year and I hope they're making GUN 2.